Dark, midnight desert colors will warm your room with this bedspread ensemble. The Western-style wool blend bedspread is accented with a herringbone texture Raven Suede and a faux leather in Sable. 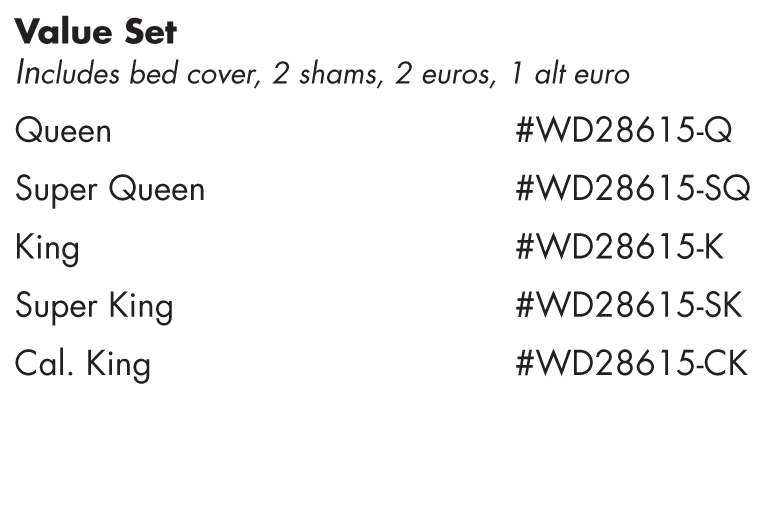 Bedspread is 25% Wool-Blend with Poly and Acrylic woven in Italy. It is Machine Washable Cold Gentle Cycle, And Tumbler Dry on Low. Accent pieces using real leather Bands are dry clean only.